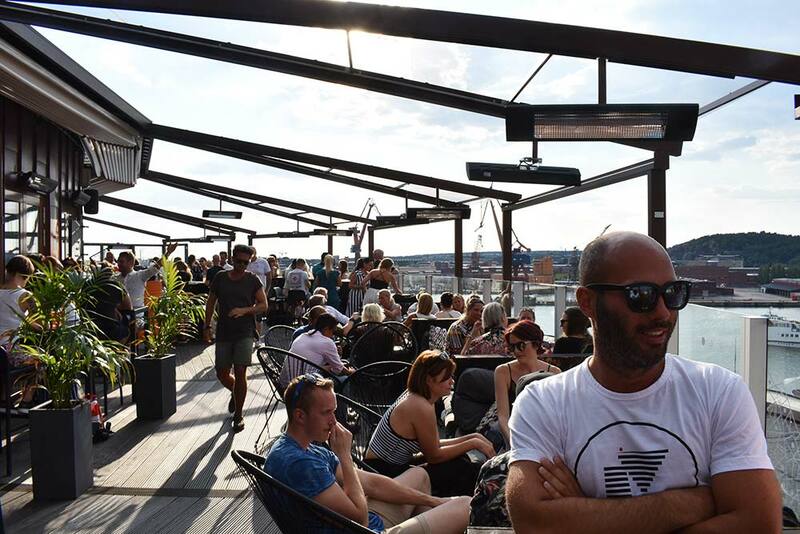 One of the newest rooftop bars in Sweden, and definitely one of the best! Maybe even the best? 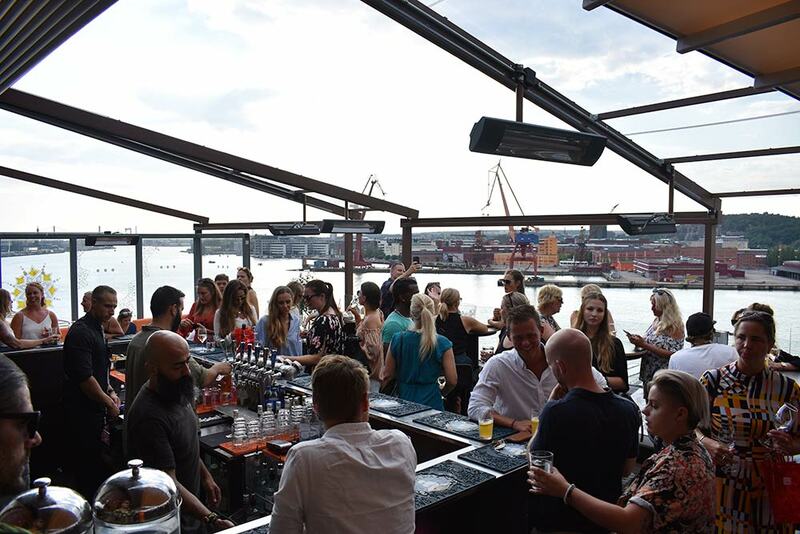 Last year, our planed visit to the brand new rooftop bar TaKeT, rained away. 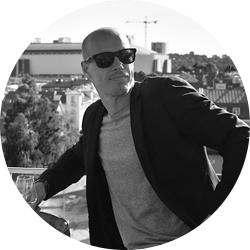 Since quitting is not an option in the rooftop-business, we booked a stay at Comfort Hotel Gothenburg once again, ready for an epic comeback. And what a comeback it was! With the Swedish summer continuing to be more like a Mediterranean summer, we hade the privilege to have TaKeT as our own "home" rooftop for two days, just a couple of floors above our hotel room. Which resulted in many visits, all equally entertaining and wonderful. To get to TaKeT you take one of three elevators from the lobby of Comfort Hotel, up to the 7th floor. Walking out on the terrace you immediately get struck by the amazing river views. Especially if you, like us, walk out on a bright afternoon around 5pm with the sun making beautiful reflections. The feeling is that you almost get a view of the whole river, from start to end. Not really true, but feelings are important. Apart from following the boats going back and forth, you also get a good look at many of the classic red cranes, giving reminiscent feels about old time Gothenburg as a major shipping and harbor town. 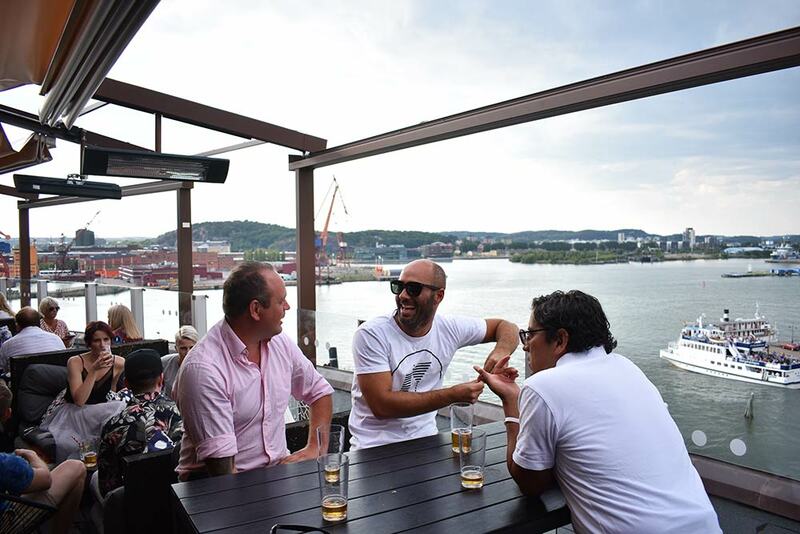 The terrace at TaKeT is quite large. Or medium maybe is the right word, both long and wide enough to feel spacious, but still cosy. Usually the sky is the roof, creating an even more spacious feel. But there is also a retractable roof to bring out when needed. The decor is more towards the basic side, with a few plants and alot of seatings, both higher bar stools and tables and some lounge sofas and chairs. In this case the non-fancy design feels just right, helping the easy-going atmosphere and really, the view is the main decor anyway. 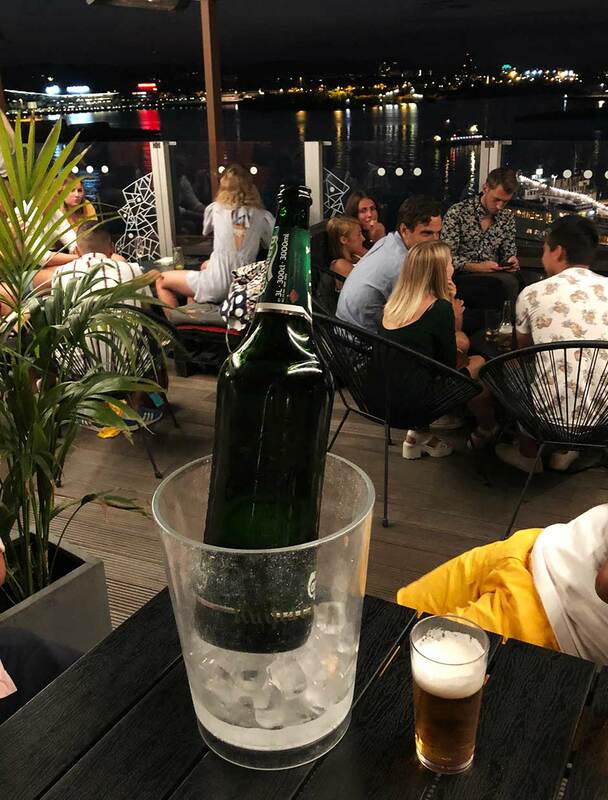 Even though there was always quite alot of people at the terrace when we where there, we never had to wait long (or at all) to get a table. And when all tables seemed full, our best "seats" might very well have been hanging in the bar. 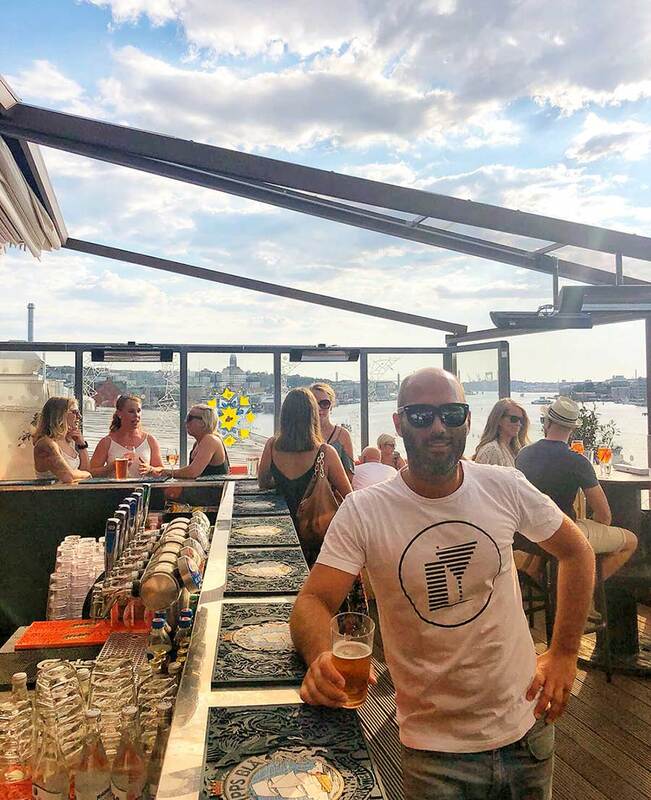 Located at the far end of the terrace, it is open and inviting and vibrant in a fun way, watching people make their orders and the bartenders create. The headline could include 'Food' as well, since there is usually a BBQ to order from on weekends at TaKeT. But because of the heat in Sweden, meaning alot of fires, there was a reasonable no-grill policy. So we had to settle for drinks. 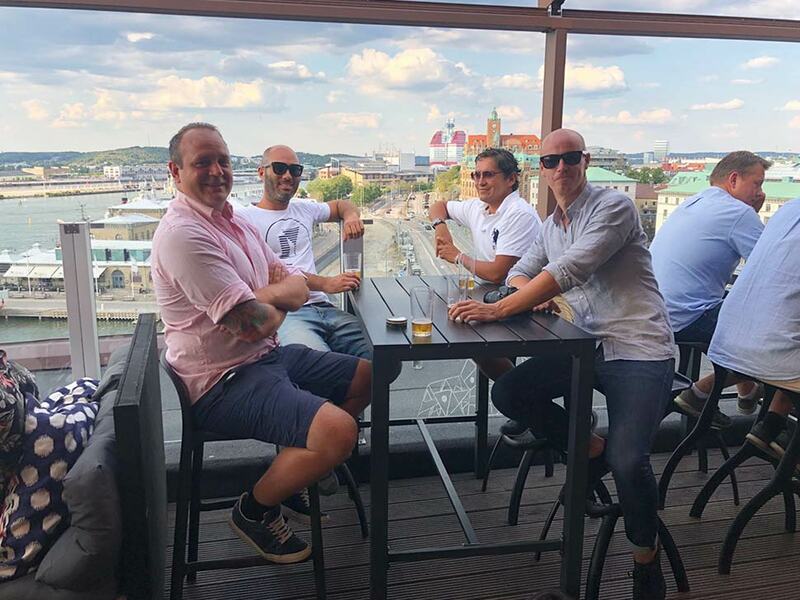 And despite three different visits at the rooftop, circumstances led to the drinks always beeing beers. But no complaints at all, ice coold beers on tap was perfect in the warm weather. And while standing at the bar we could see that the cocktails beeing made looked really refreshing. 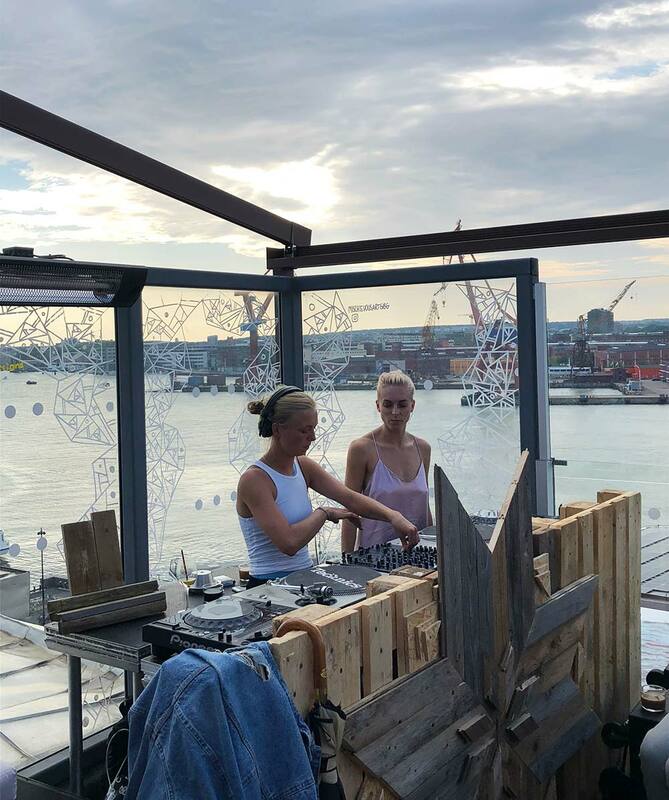 After the great experiences on Friday we made time to come back again Saturday, when there was a big 'Sunset Session' event, with DJs playing from 2pm - 11pm. We arrived around 6pm, and while the vibe was higher and the crowd a bit larger, the feeling was yet again that there was just the right amount of poeple on the terrace. Not feeling empty, not feeling cramped. 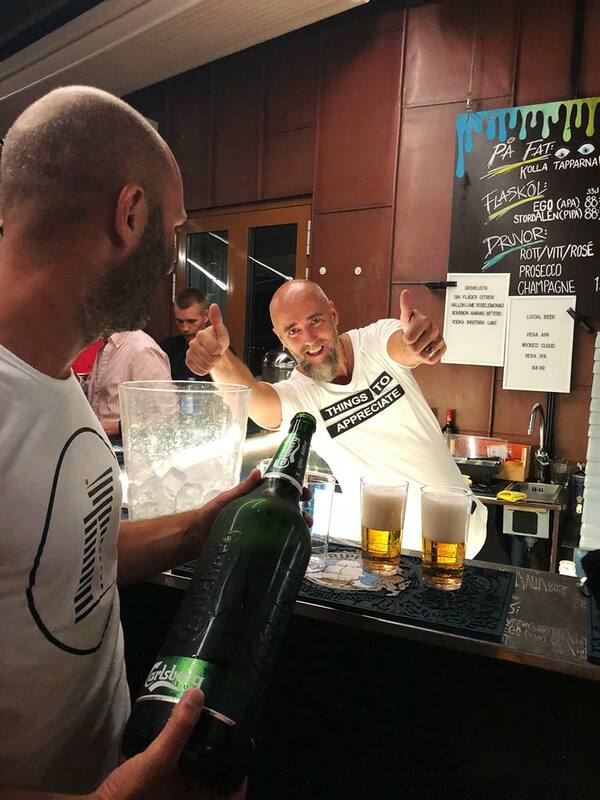 We placed ourselves in the bar, right next to the temporary DJ stage and enjoyed the great music beeing played and the fantastic vibe. 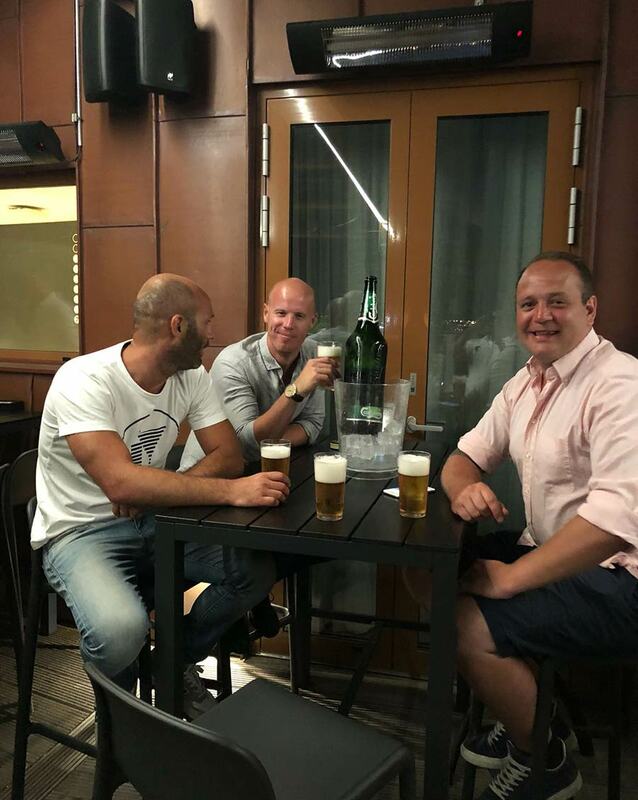 Our experience was also made extra special by the bar manager at TaKeT, Daniel Meyn. Really the right man at the right place, friendly, fun and made us feel super welcome. As we are sure he makes all feel. So thank you Daniel! 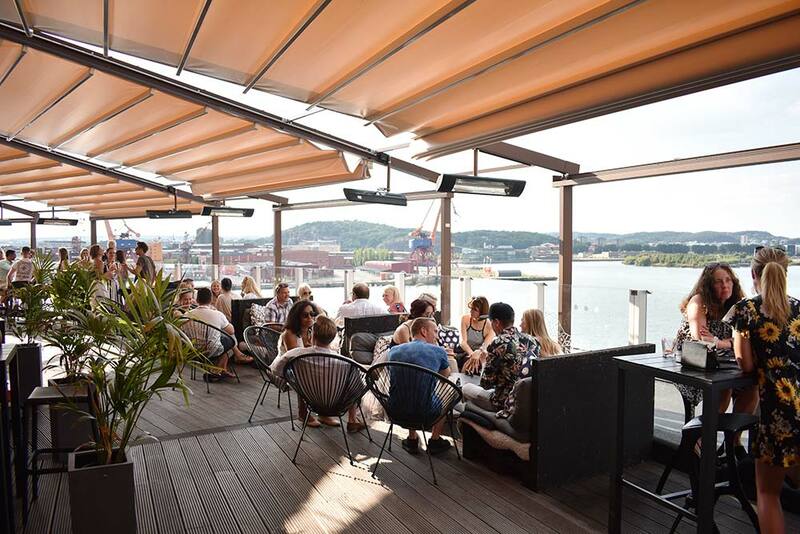 As you can imagine, we recommend a summer visit to TaKeT to anyone visiting or living in Gothenburg. 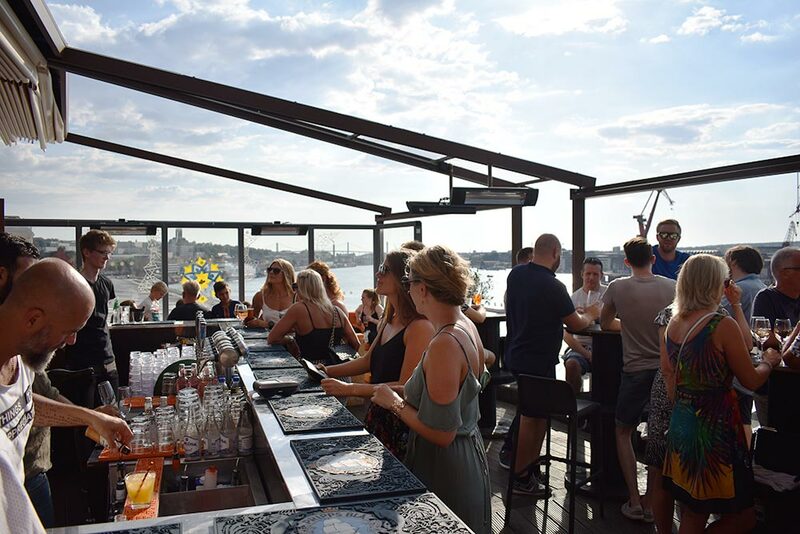 The views are amazing, but the great atmosphere is even better and absolutely puts it among the top rooftop bars we have visited in Sweden. We will be back, for sure!